A new UN report says China leads the globe in the trade of renewable energy products, while developing countries score over Europe. The survey from the UN Environmental Programme (UNEP) on Wednesday indicates that China leveraged on decreased manufacturing costs and increased investment to boost trade. “While there was a decline in growth in Europe in 2013, there was strong growth in China and several other developing country markets,” UNEP Executive Director Achim Steiner told the United Nations Environmental Assembly. Steiner said developing countries collectively accounted for above 30 per cent new solar photovoltaic capacity installed globally last year. “A significant contributor to South-South environmental goods and services trade is exchange of renewable energy technologies, which now represents one of the fastest-growing markets in the world,” he added. Steiner, who is also the UN Under-Secretary-General, said the global environmental product market is expected to grow to approximately $1.9 trillion by the year 2020. United Nations Conference on Trade and Development (UNCTAD) Secretary General Mukhisa Kituyi said China is one of the countries to demonstrate a positive shift towards a green economy. “It has shown commitment to maintaining high environmental standards,” he said. Kituyi urged China to promote environmental consciousness throughout the world. 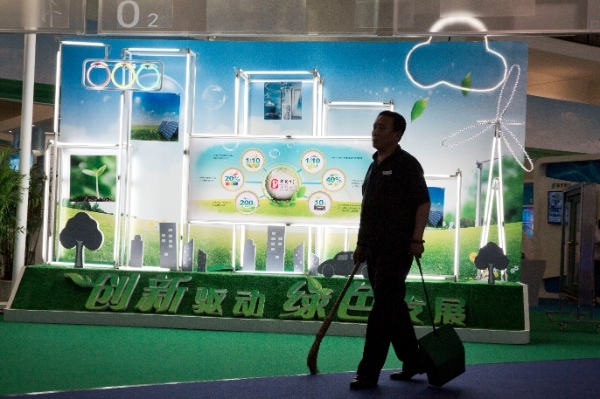 China has surpassed the US in clean energy investment. With $54 billion in investments in renewables in 2013, China is way ahead of the total US investment of $36.7 billion. Meanwhile, a group of US ethanol and gasoline producers have asked the country’s Supreme Court to take up a lawsuit seeking to roll back state renewable energy laws, says a Reuters report.